Flower Cutters follows the story of Cass, a first-year who joins an eccentric and exclusive group of students who earn money through the black-market trade of endangered flowers. 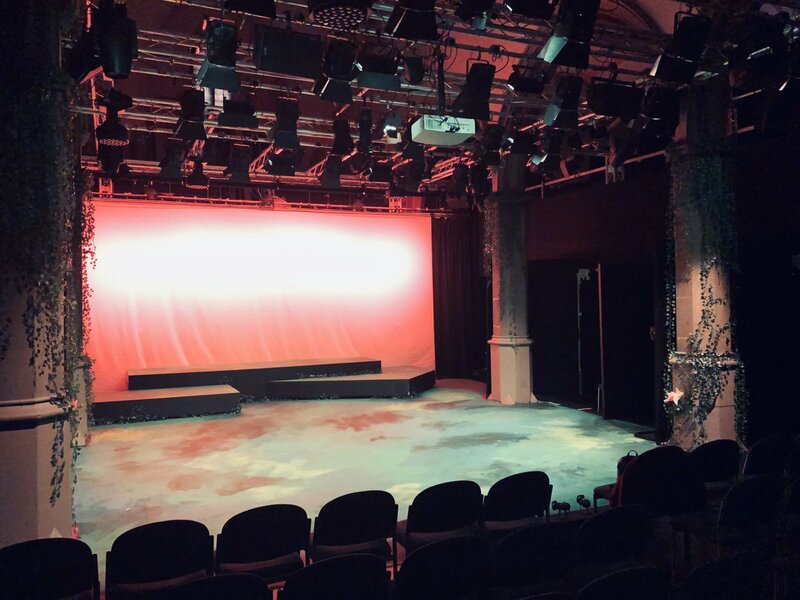 “The aim was to write a musical about young people that you can believe and care about; and also to throw them into a plot that would stretch them, mess with them, and keep the audience on the edge of their seat. The kind of original narrative usually associated with films or Netflix TV shows. While thinking over different types of crimes that someone (definitely fictional) might get involved in, I thought up the idea of a black market in flowers. I Googled it, and found out that it already existed – Google ‘Kewdunnit’ and you’ll find a Daily Mail article reporting the theft of the world’s smallest waterlily from Kew Gardens. After that a lot of the story and characters somehow fell into place, and Josh and I began working together to develop the show. To us the concept of flower theft seemed perfect for a black comedy – it’s a real crime, but a sort of hilarious one. A lot of friends told us ‘I would do that’, which is exactly what we wanted to hear. We’ve really tried to focus in on the journeys of the students who see how bizarre this world is but get tangled in it anyway. It’s about crime but also about friendship, and we’re telling the story of a girl finding a place to belong. Jasmine Hackett, at the Signal Concert on 5th Dec 2017, Hospital Club. Perfect Pitch were aware of Flower cutters in 2015 as Rachel and Josh were both working in their office at the time, however, there is no favouritism here (!) and it took almost 3 years and many synopsis redrafts before the show became signed up as one of the PP works-in-progress at the end of 2017. Perfect Pitch helped with a couple of workshops along the way – the first in 2015 in partnership with The MTA and a second in April 2017 in partnership with Arts Educational Schools. Independently from Perfect Pitch, Josh and Rachel have been successful in finding a number of promotional and development opportunities for the show including the ‘From Page to Stage’ Opening Gala in 2015 and a 12-minute showcase as part of ‘Musical Bites’ at The Other Palace theatre in 2017. 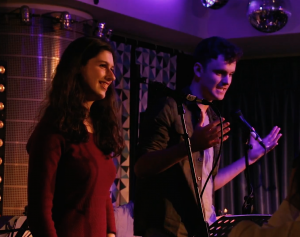 Additionally the musical was workshopped by students at the University of Winchester in 2017, and the song ‘Better Kind of Me’ opened the inaugural SIGNAL concert series at The Hospital Club (see video above). It’s also currently part of the Musicalturgy project at the University of Portsmouth.